Yes, we have been providing service in the San Diego area for more than 35 years. We were founded in 1976. Our focus for the past 35 years has remained the same, supplying quality service and parts for foodservice equipment. We would love for you to stop in and check us out. We have a large inventory of parts ready for your service needs. We also expect a high quality service from ourselves in providing you with any service that you may require. Give us a call for any service needs you may have see if we can exceed all your expectations. Please call us today for any assistance you may need. We service all of the San Diego area. 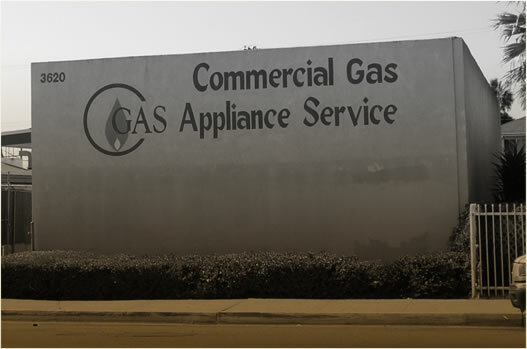 Founded in 1976 by Carl Stanzione, Commercial Gas Appliance Service has over 35 years experience in the industry. With dedication to continual and vigilance in exceeding our customer’s expectations, we have earned a solid reputation as San Diego’s leading restaurant equipment service and repair provider.